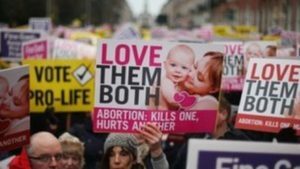 Bishop Kevin Doran is urging voters in Ireland to “defend the right to life of the unborn” in the nation’s abortion referendum. The referendum, approval of which would repeal the 8th amendment and allow for limited abortions, will likely be held this summer. Irish Prime Minister Leo Varadkar said on Jan. 27 that he will support the referendum, saying his views on the issue have “evolved” since he described himself as “pro-life” in 2014. Bishop Doran noted: “When it comes to the right to choose, there is a tendency to forget that there is another person involved; a vulnerable person who has no choice and who depends entirely on others for protection. If society accepts that one human being has the right to end the life of another, then it is no longer possible to claim the right to life as a fundamental human right for anybody. A complete ban on abortion in Ireland was lifted in 2013 to allow for abortions in cases where the mother’s life is in danger.